The First Aider Arm Band is the perfect accessory for trained first aid personnel to make themselves easily identifiable. 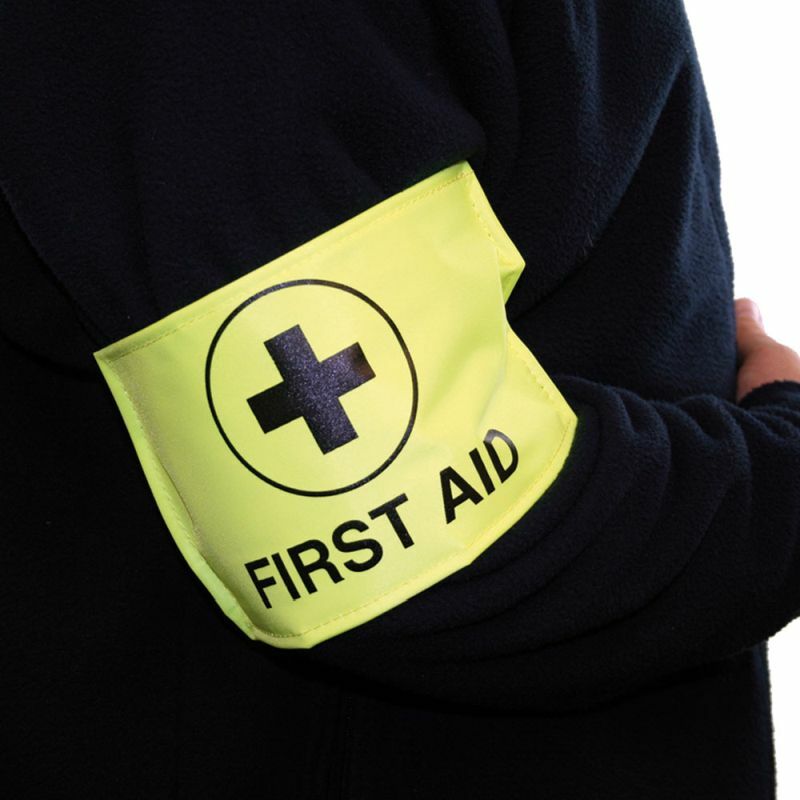 The bright yellow, one size fits all armband has the traditional first aid logo and lettering printed in black, and is adjustable using the velcro fastening. The First Aider Arm Band is a cost effective and efficient way to identify both first aiders as well as people with first aid equipment on them. It can be comfortably worn on top of any clothing, using the Velcro fastening tool to adjust it to a suitable and secure fit. The bright yellow arm band is ideal to use in warehouses or events, so that the health and safety personnel can be quickly identified in case of emergency. They are available to buy in packs of 10 to accommodate as many first aiders as you have at your site. The First Aider Arm Band is usually dispatched via First Class Royal Mail and delivery should be within 1 to 3 working days.